Melbourne v San Francisco: Which city is the artisan chocolate queen? Choicest choice: Koko Black, Melbourne. Melbourne and San Francisco might be 12,000 kilometres apart, but they have a surprising amount in common. Both often referred to as their country’s most ‘European’ city, they enjoy thriving multiculturalism and a competitive foodie culture. And, happily for chocoholics, both cities have a well-established artisan chocolate scene. 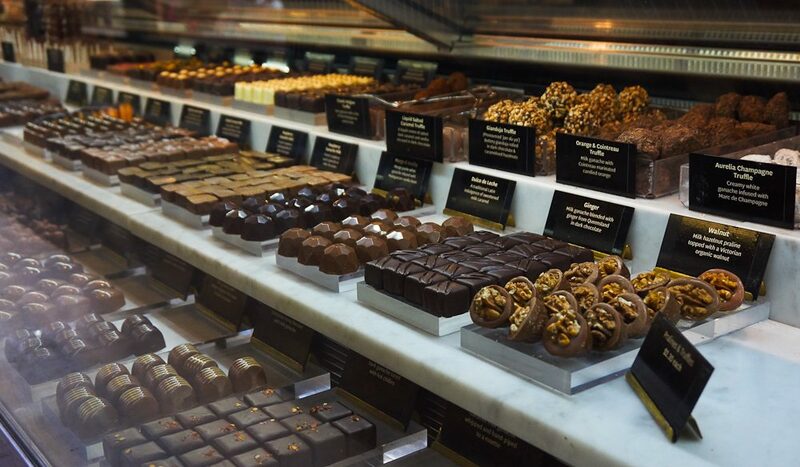 But when their chocolatiers go head to head, let’s see which city comes out on top. Dominating Melbourne’s luxury chocolate market for more than 10 years, founder of Koko Black, Shane Hills, has since expanded his chocolate empire across Australia and New Zealand. Koko Black’s specialty is a large and very classy range of individual chocolates and truffles. Special flavours: Tasmanian honey and Melbourne’s Bakery Hill single malt whisky. Specialising in single origin chocolate, these guys are hipper-than-thou with environmentally friendly packaging and largely organic ingredients. Got to try: Monsieur Truffle’s dark and milk gianduja 180g blocks, absolutely packed full of organic hazelnuts imported from Piedmont, Italy. Opening just this year, Mörk is hot chocolate heaven. They don’t serve tea or coffee at this pretty little café on North Melbourne’s busy Errol Street, just four different ‘house’ hot chocolates, five ‘specialty’ hot chocolates and two cold-water-based chocolate drinks. For a little bit of drama: The Campfire Chocolate comes with a toasted marshmallow and smoke (when you lift up a reversed, stemless wineglass). Stepping into this bright and feminine space, the smell is not that of your typical chocolate store – instead there’s chai spice, camomile and a hint of coconut. That’s not such a surprise since Pana Chocolate specialises in raw, organic, dairy-free, refined-sugar-free chocolate blocks and eye-catching single serve cakes. Exciting bite: With exciting products like its raw lamington, it’s no wonder this little Melbourne company has 150,000 Instagram followers. Cacao’s décor is as eye popping as its product range, but if you can look past the bling, its individual chocolate selection ($2.10 each) is well made. The ‘Apples’ chocolate is a good choice, made with milk chocolate ganache flavoured with calvados and cinnamon, enrobed in dark chocolate and decorated with a pretty white floral transfer. Inspired by the fresh ingredients available at the Ferry Building markets where Recchiuti Confectioners now has its flagship store, the founder, Michael Recchiuti, started experimenting with different infusions and classic European chocolate making techniques. The result is his beautifully presented store with a wide range of individual and boxed chocolates, bars, dragées and snacks. Moreish: His Malted Dark Milk Revolutions are like Malteasers for grownups! These guys give Monsieur Truffe a run for their hipster-cred and challenge Mörk for hot chocolate supremacy. You can enjoy small batch single origin bars and a hot chocolate in their café on Valencia Street while watching the bean-to-bar chocolate making process occur in Dandelion’s factory on the same site. Founded by former tech publishing millionaires, Tcho produces ‘New American Chocolate’ which is made in San Francisco and shipped and sold nationally. With a slick website (naturally), modern minimalist packaging and clever tasty organic products. You really have to: TCHunky TCHOtella bar with hazelnut butter and sea salt, making Tcho a must-try for the full San Francisco foodie experience. CocoaBella is a chocolate store rather than a chocolate producer, stocking a beautifully curated range of chocolates from both Europe and America. They’re one of the few places in San Francisco that you can try American chocolatier Christopher Elbow’s range. His chocolates are brightly coloured, brash and full flavoured. If you had to pick one: The strawberry balsamic-filled chocolate is incredible. Ghirardelli Chocolate, now a large and hugely popular chocolate brand in America, is one of San Francisco’s most famous and successful exports. Founded by a European immigrant who moved to San Francisco during the gold rush, Ghirardelli is now famous for its individually wrapped filled squares. The chocolates are generally very sweet and lack some of the love that small batch products enjoy, but they are still crowd pleasers with a lot of American charm. 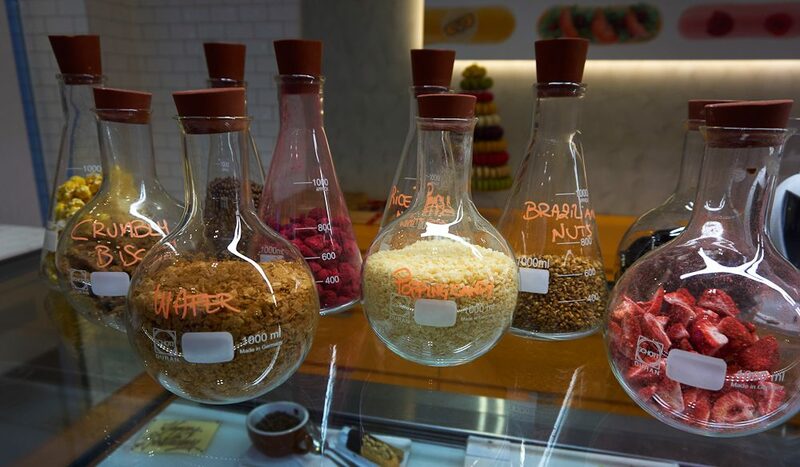 Both cities have a lot to offer chocolate lovers, but which city comes out on top? For quality: Melbourne wins here, with Melbournians demanding the very best. For taste: again, I have to give this one to Melbourne, with more complex and natural fillings and a real passion for single origin chocolate. 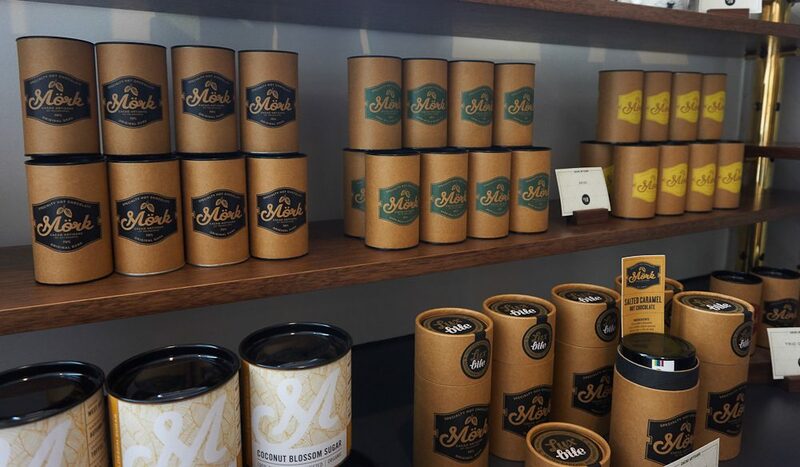 For packaging/store presentation: San Francisco is a winner here, especially with Tcho’s uber-cool packaging and the city’s more adventurous and appealing store designs. For range/variety: Melbourne comes out top, though this is a close call since both cities offer a lot of choice. For creativity: the Americans have it on this final criteria – their sometimes loopy but usually lovely creations really push the boundaries. Melbourne – artisan chocolate capital of the new world! An escapee from corporate law, freelance travel writer Hannah Foster is a Melbourne local who blogs at northmelbournelife.com and contributes to a number of other lifestyle publications. San Francisco is chocolate heaven! and add these to that list! Having called both cities home (with a little piece of my heart left in both towns) I have to say this is a fantastic tribute to their awesomeness. For me it’s a draw! And I need some chocolate right now…! I’ve lived in both cities and they both have wonderful Chocolate shops. One of the best in Melbourne/Australia not on this list is Sisko Chocolate in Hawthorn.